Sidmouth is a beautiful coastal town in the south of Devon that looks out over the English Channel. It's a great destination for those looking for a seaside holiday, with the long pebble beach attracting visitors from all over. 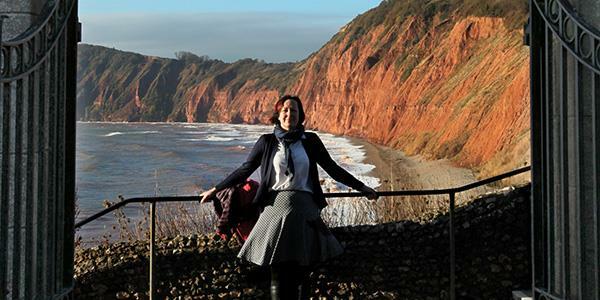 Lying within a gently curving bay amid the East Devon Area of Outstanding Natural Beauty, the beach stretches the length of the town. It's reasonably sheltered and nicely sandy when the tide goes out. Lots of little rock pools make it ideal for families and safe for little ones to splash around, plus the big, beautiful red cliffs that line the shore provide a wonderful backdrop. There's plenty of facilities like loos, cafés and shops along the Esplanade, which runs right along the front for most of the length of the town. Jacob's Ladder is a series of wooden steps leading up the cliff from the sandy beach at the western end of the coastline (there is also a path leading from Jacob's Ladder Beach if you don't want to clamber the steps). At the top of the cliff you'll find Connaught Gardens, public gardens that date from the early 19th century and are named after the Duke of Connaught who was the third son of Queen Victoria. 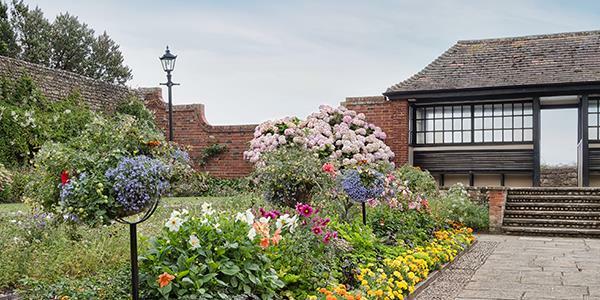 Connaught Gardens display a good range of plants with a herbaceous border, paths to wander and good views. There is also a bandstand here which sees a lot of performances during the summer months. 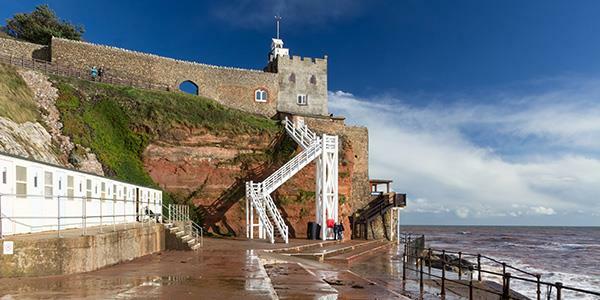 If you fancy a day exploring the best bits why not follow a morning on the beach with a walk to Jacob's Ladder, stopping in at the gardens for some refreshments in the Clock Tower Cafe? You'll find the Clock Tower at the top of the ladder in a stunning position. In the centre of these award winning gardens, the building is perched on the cliff looking out to sea. What was once a 17th century lime kiln has been beautifully restored and now houses the café. With homemade cakes and various dietary options you'll be spoiled for choice at the little establishment! You can take a look at their menu on the website here. 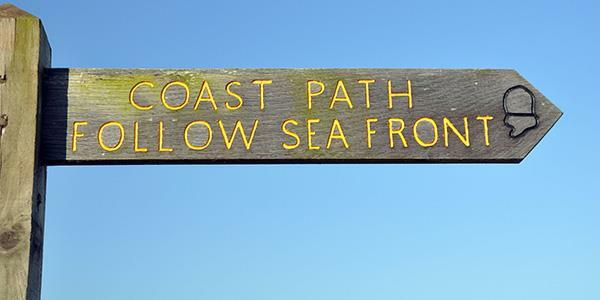 The famous South West Coast Path National Trail cuts straight through Sidmouth and runs along the Esplanade. So if you want a more of a challenge you could pick the National Trail up from either end of the beach and follow it either east or west along the coastline and cliffs for as long as you choose. Take a look at the National Trail website to plan your walk here. To find out how to stay in Sidmouth for yourself simply pop your details in at the bottom of the page.